If you suffer from Type 2 Diabetes, you’ve got it tough. For many people, this disease is a lifelong nuisance, and numerous complications can arise, and some of them are quite serious and even life-threatening. Many people with Type 2 Diabetes will have to spend their lives carefully monitoring their diet and taking expensive medication, including insulin. It’s not fun. While this disease is often tied to obesity, that’s not always the case, and there seems to be no cure on the horizon, though there are ways to keep the disease at bay, provided that you’re diligent. A new book, 7 Steps to Health, also known as The Big Diabetes Lie by Max Sidorov, says that you can reverse Type 2 Diabetes by using the methods in the book. This seems like a far-fetched claim, but we thought we’d look into it and see what the book has to offer. Is 7 Steps to Health a scam? 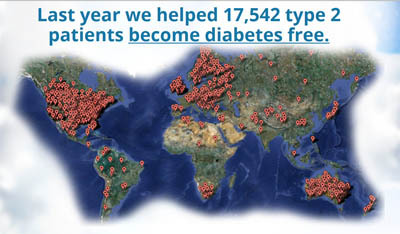 Click here to visit the 7 Steps to Health The Big Diabetes Lie Website. Read on for the full 7 Steps to Health review. For starters, the book has an awkward and cumbersome title. 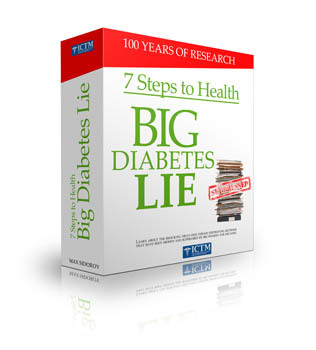 The full title seems to be 7 Steps to Health The Big Diabetes Lie, though we’ve seen it referred to on the Web by either one half of the title or the other, and sometimes both. The 7 Steps to Health book is available as either a downloadable PDF ebook or as a paperback book. 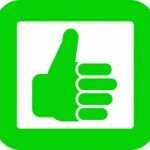 The PDF version is less expensive and has the added advantage of being instantly downloadable. The paperback version of 7 Steps to Health costs about 50% more and obviously will have to be sent through the mail. If you’re in a hurry to read 7 Steps to Health, you might want to go with the downloadable version. As one typically finds in these sorts of books, a lengthy second of the book (about 40 pages) is devoted to disparaging the medical and pharmaceutical industry. This may be because the author believes it or it may be because it’s easier to get people to use the methods within the book if they believe that modern medicine isn’t capable of helping them. The last 50 pages of the book, titled The Big Diabetes Lie, discusses diabetes in detail and criticizes the healthcare industry for not making it more apparent that the disease, in the author’s opinion, can be reversed. The disclaimer at the beginning of the book makes it clear that they are not suggesting that their program can “cure” this disease, though they also make it clear that they are stating this for legal reasons. 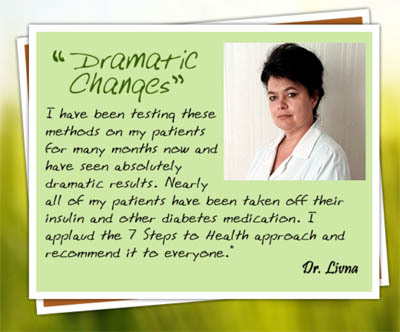 The 7 Steps to Health The Big Diabetes Lie book is well-written, despite the fact that everyone involved in its creation seems to be from eastern Europe. It’s easy to follow, and the book is divided into logical sections that outline the nature of disease and the nature of diabetes specifically. Most of the first half of the 7 Steps to Health book is about the modern diet, with individual chapters on types of foods. It’s true that much of the food that Americans consume these days is processed, and processing foods does take a lot of the nutrients out of it. 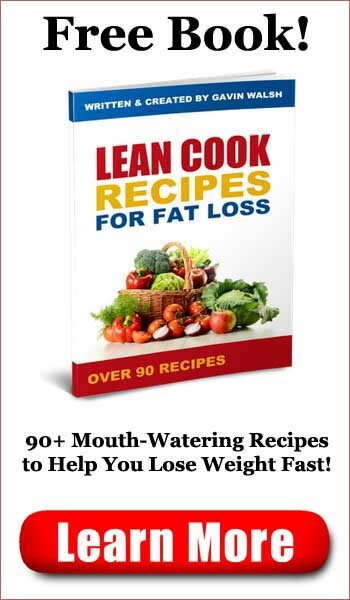 The book emphasizes the consumption of raw foods when possible, and the plan eventually urges readers to be sure to get at least half of their daily food intake from raw food. Sugar and artificial sweeteners are to be avoided, as are tobacco and alcohol. The authors strongly recommend drinking about a half a gallon of water per day and they also recommend that you get a fair amount of exercise each day. 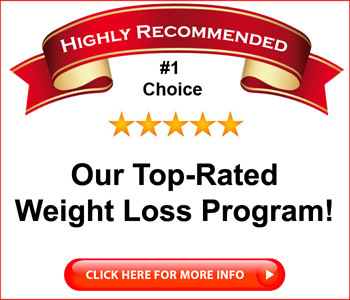 You’ll find that these recommendations, while sound, are not specific to people who have Type 2 Diabetes. These are the sorts of recommendations that any doctor would likely recommend to any of their patients, whether they were healthy or not. If you’re interested in trying to get a handle on your Type 2 Diabetes, you’ll find that 7 Steps to Health is a well-written book that has simple steps that anyone can follow. As with all such books, we strongly recommend that you consult with your doctor before trying any of the steps outlined in the plan. Keep in mind that everyone is different, and what works for one person may not work for someone else. That said, the information is well presented and is something that many people suffering from type 2 Diabetes may find to be of interest. 7 Steps to Health is recommended, though we suggest discussing it with your doctor.